Budget Direct has been offering Simply Smarter insurance since 2000. We’ve insured over 1.5 million Australians since then. By asking smarter questions we avoid subsidising “high-risk” clients, which means we can pass on great savings to our customers. Our commitment to quality and innovation means you get the cover you want, at a price you can afford, with all the features you’d expect - plus a lot more. So why not join millions of others and get a quote with us today. 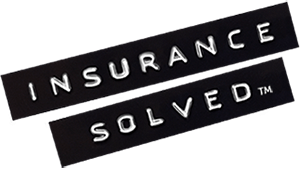 We’re part of the international BHL Group, which provides insurance solutions for millions of policy holders worldwide. The group includes one of the largest direct personal lines insurers in South Africa, and one of the largest personal lines insurance intermediaries in the United Kingdom. We’ve been around for a while. And we’ll be here for a long time to come. Time after time when independent experts compare Car and Home Insurance, Budget Direct takes home the awards. Budget Direct has won Money magazine's Insurer of the Year award again in 2018 (we also won this prestigious award in 2017, 2015 & 2010). Also, Budget Direct is the only provider to have won the coveted CANSTAR award for ‘Outstanding Value Car Insurance’ every year since 2007. Recently adding the 2018 CANSTAR national award to its long list, that's 12 years in a row! We issue thousands of policies every week, giving our customers great deals on car, home and contents, and travel insurance. With our call centres and assessment centres in Brisbane, Sydney and Melbourne, we now employ more than 900 people.